Over the weekend, we mentioned that a Battlefield 5 upcoming patch is scheduled for this week, which will be called Trial By Fire Update #1. While it’s still scheduled for Thursday, it’s being reviewed for certification, which means that if it fails, it won’t be released at the scheduled date and time. Also of note, we’re set to receive the patch notes for this upcoming update tomorrow if things go according to plan. Another big thing dropping this Thursday is a new Firestorm gameplay trailer, which should whet the appetites of those who want to experience battle royale the Battlefield way. Please note: Items could shift or be moved out. This Week in Battlefield V – What you’re reading right now! An overview of this week’s news, blogs, content, and more. Last Chance for Weekly Mission Reward – Give the ToW Mission a final push if you haven’t completed it yet. DISCUSSION: Classes in Battlefield V – While there may be some overlap with our Classes discussion and our previous Gadgets discussion, let’s focus specifically on Classes and Combat Roles. 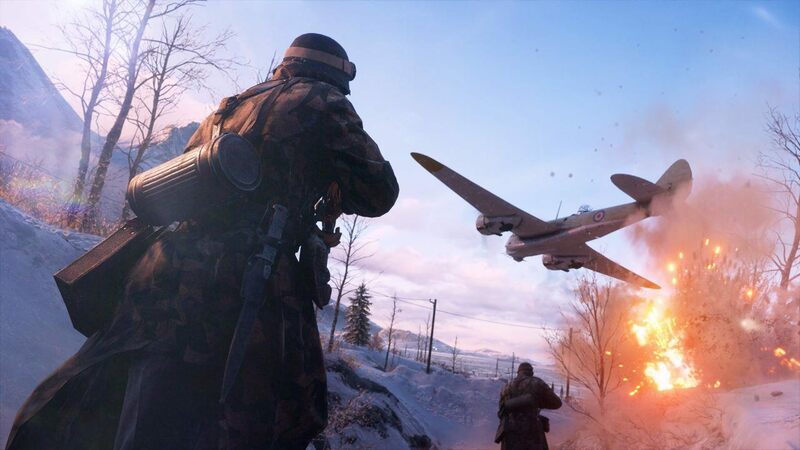 Battlefield V: Firestorm Gameplay Trailer Releases – Our gameplay trailer for Battlefield V: Firestorm goes live. DISCUSSION: Battlefield V: Firestorm Trailer – Let’s talk about that gameplay trailer. DEV TALK – Dev Talks have returned! Weekly Debrief – Your one-stop destination for all the blogs, videos, and major news that happened in the week. New patch, new trailer, blog posts and more! It’s a big week for Battlefield V, and you can bet MP1st will be on hand to cover any relevant news.